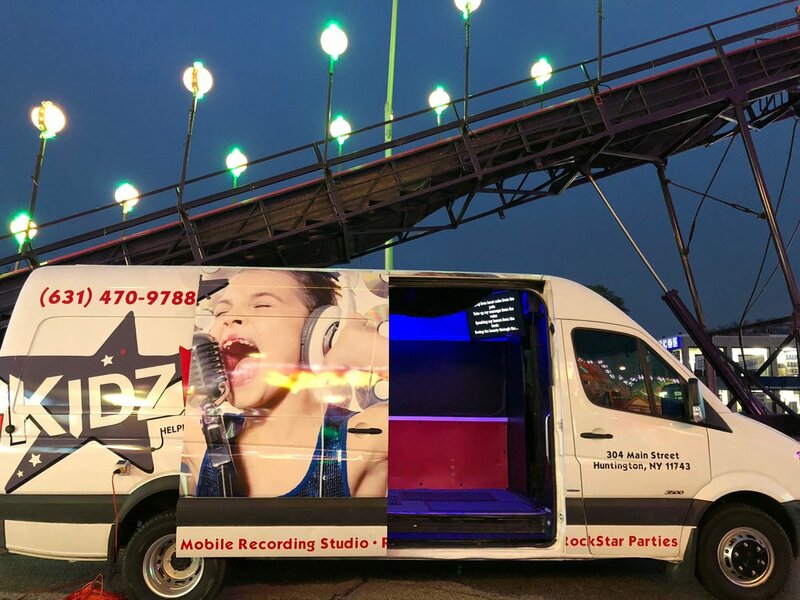 KidzHitz Mobile Express is a state of the art karaoke studio on wheels that comes to your location. With equipment including microphones, television, lights, speakers and more - this is the perfect addition to your next event. Step inside and instantly feel like a rockstar as you are handed a microphone while the music fills your ears. Choose from a wide variety of songs and sing your heart out with your friends and family. From bachelorette parties to fundraisers, we can do it all. For any age, this is the perfect way to express yourself and have the time of your life. Check out our gallery to see inside one of our mobile studios! In our time using our KidzHitz Express mobile studios, we have gone to many events locally and have been having the time of our lives watching people of all ages sing their hearts out. KidzHitz Express is an expansion on our successful Long Island business. With offers from out of the area, we are looking for investors from across the country to bring KidzHitz Express to their area. There are customers all over who would love to experience our karaoke on wheels at their next event. From fairs, to schools, to homes, and more, our trucks are able to bring the fun wherever we are needed. To bring karaoke to people is to bring them music and happiness, creating amazing experiences for every customer that we meet.